It finally hit me that Thanksgiving happens on a Thursday, so you have three days to lose the weight you put on before having to go back to work. After all, in America "thanks" often is a synonym for "more" -- we love to put the fat-itude in gratitude. And that means we have to pick the right wines to enjoy as we eat our way through more dishes than we generally cook in a month in just one afternoon. Ever buy a bottle of wine that featured a little red circle that looked like it was left from a wine glass with the words "SIP Certified" written inside, and then wondered what that logo meant? 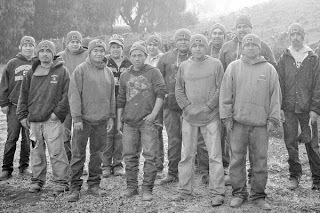 SIP is short for Sustainability in Practice, and it's the brainchild of a group called the Vineyard Team, based in Atascadero. What began as a self-assessment system in 1996 turned into third-party certification in 2008. Kris Beal, executive director of the Vineyard Team, puts it this way, "There was definitely a sense of wanting to have an independent, trustworthy, and verifiable certification. Buyers, that is both consumers and retailers, were asking about a company's sustainable practices and wanted a way to back up that claim." Wesley Stace, who is curating his Cabinet of Wonders “vaudeville” event at UCSB Arts & Lectures on November 13, says people have no problem watching a show featuring musicians, comedians, and authors. “People know what a variety show is,” he said in a recent phone interview from his home near Philadelphia. “I think genre is really dead. People’s iPods are on shuffle all the time.” In Santa Barbara, that shuffle will feature Stace’s own catchily erudite music stylings (he’s got a new album out called Self-Titled), plus his usual co-host comedian Eugene Mirman (who also plays theremin! ); comedians Bobcat Goldthwait and Kurt Braunohler; musicians Dean & Britta, Ned Doheny, Alec Ounsworth from Clap Your Hands Say Yeah, and John Roderick from The Long Winters. Matthew Specktor gets to hold down the writer’s chair (although Stace is also a novelist). Yep, I returned to my music writing roots for this one story. Go read the rest at the Indy's site. Next time you look deep into your glass of wine to marvel at its light and color, try to see the workers who picked its grapes. 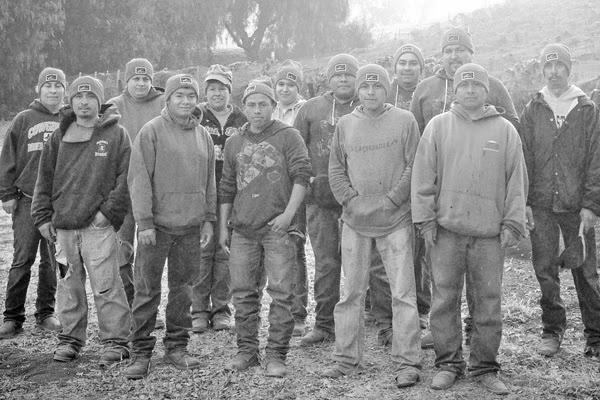 And they are hard to see, as so many are part of the migrant and often non-documented work force at the dark heart of the California wine industry. We're talking about people whose annual wage never breaks $20K, as if they worked annually, as if the Bureau of Labor Statistics can capture all their salaries. Opus One is the powerfully elegant marriage of Old World and New, reflecting the philosophy of founders Baron Philippine de Rothschild and Robert Mondavi. Now it’s coming to Santa Barbara, in the form of winemaker Michael Silacci, who will be giving an introduction to his globally acclaimed wines and pouring a vertical of 2007-2010 Opus One at a dinner for a mere 35 lucky people at the Four Seasons The Biltmore. Independent Foodie Award-winning chef Alessandro Cartumini has crafted a four-course menu plus reception appetizers to match these wines, featuring everything from hamachi crudo on rye crostino with poppy-seed dressing, to whole-roasted rib eye and short-rib duo with parsnip puree and apple slaw.